Field Tuff brings you another reliable product with the AS-80ATV12 80 lb. Receiver Mount Spreader. 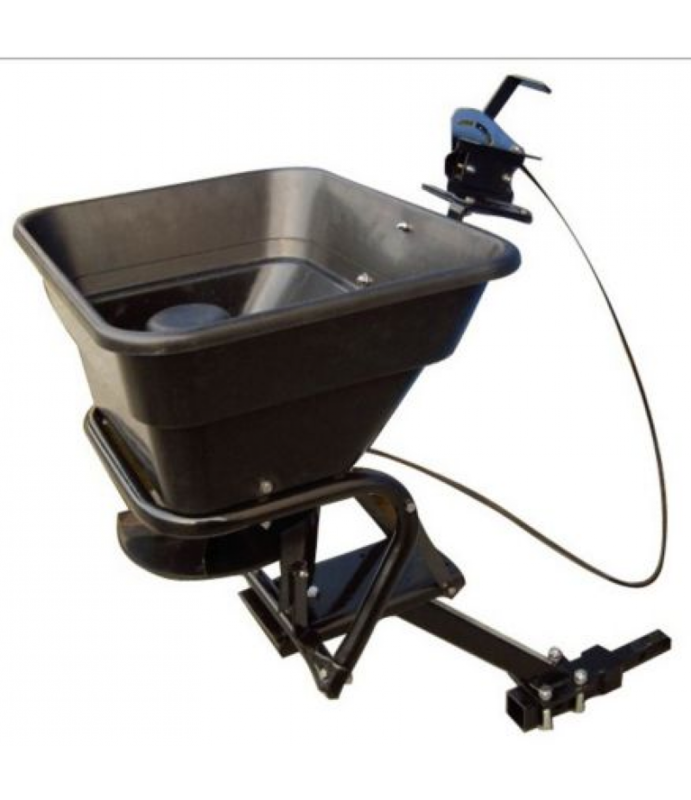 Field Tuff has now made it even easier to spread your seed and fertilizer with this ATV Receiver Mount Spreader, which easily attac..
Field Tuff brings you another reliable product with the AS-80ATV12 80 lb. Receiver Mount Spreader. Field Tuff has now made it even easier to spread your seed and fertilizer with this ATV Receiver Mount Spreader, which easily attaches to almost any ATV, UTV or utility tractor. This spreader can be mounted to the 1-1/4 in. or two in. receiver of your ATV, UTV or utility tractor. Installation is simple and quick with the included wiring harness. The spreader also comes with a rain cover.